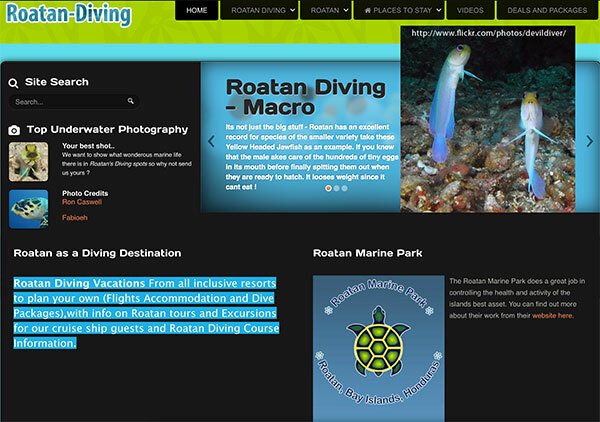 Roatan Diving is a good online source for scuba diving related information. Plan your trip by deciding where to stay and what dive sites not to miss. From all inclusive dive resorts and independent shops you should stop by and enjoy the website. Learn about the marine biology of Roatan to enhance your diving. Take your diving career further and explore teaching to dive as a profession. Enjoy editors top picks of dive videos that you will want to see and much more.